27th July 2014 – Moses Kipsiro (UGA) had to relinquish his Commonwealth 5000m title in an enthralling final on the first day of the athletics programme. The race saw a quick early pace and then surges throughout but still a large group remained with a mile remaining. However, as the race approached the final 800m a runner being lapped caused a fall in the main pack and Kipsiro lost vital yards at a key time. Moses was unable to get back into the race and finished eighth in a time of 13:28.23. 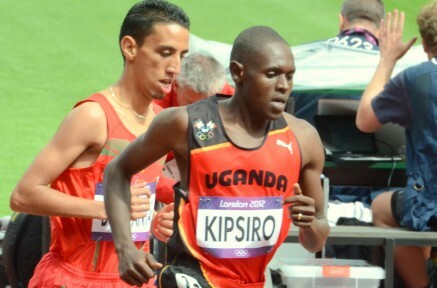 Ugandan team mate Timothy Toroitich (UGA) was also affected by the fall and finished eleventh in 13:35.02. Earlier both Kemar Bailey-Cole (JAM) and Schillonie Calvert (JAM) comfortably won their 100m heats and qualified for tomorrows semi-finals.